Losing your files can be more than just an inconvenience, especially if you’re a business owner with profits to make and confidential information to keep secure. Here are just seven tips for protecting your livelihood. Manual back-up is done with USB flash drives or external hard drives. Your files are copied directly to the device, so you’ll always have a “hard copy” on hand no matter what happens to your computer. Digital back-up is when your files are transferred to another computer, server or network. They might also be uploaded to the cloud with something like Cloud SMB Backup Software. This method doesn’t give you the peace of mind of a hard copy, but it’s much quicker and convenient for growing businesses. Both options come with their pros and cons, so you’ll need to decide for yourself which is right for you and your company. Which documents are the most sensitive or confidential? Which programs are too valuable to lose? From hacks to viruses, there are endless ways that your files can be lost, so it’s important to prioritize them as you prepare for the worst. Put them into two categories: those that you don’t want to lose and those that you cannot lose without a serious impact on your business. If your first choice doesn’t work out, it’s okay to go back to the drawing board and make a second. You don’t have to marry your data backup software. You can experiment with different brands and methods until you’re satisfied. What’s the use of having backup software that you never run? Make a schedule for copying and transferring your most important files. If your software can back things up automatically, that might be easiest. It will save you from the stress of constant reminders while also preventing you from cancelling necessary backup processes just because they’re a little inconvenient. This is a vital step in backing up your data. Even after you’ve been given a green check mark by your software, you should always verify that the documents were successfully copied, delivered or uploaded. You never know when you might have missed an important file or overlooked some small evidence of data corruption, and vigilance today can save you from a disaster tomorrow. Upgrade your software. Install any new patches or fixes. Take note of any warnings. Make sure that every important file is where it needs to be for the backup process. Note how many files are there. Run your software. Keep an eye on it to ensure that there are no problems with the process. Verify that everything was backed up successfully. Look at the number of post-dump files on your new device or network. Does the number from step two match the number here at step four? Your files are gone. Maybe you didn’t back them up properly; maybe you forgot to back them up at all. 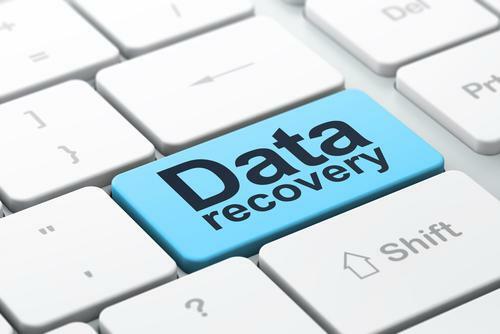 The key is to remain calm and follow the right steps of data recovery. Instead of trying do-it-yourself “hacks” that might corrupt, damage or overwrite your files, use professional recovery software or let a certified data expert handle it. You don’t want to risk the important data of your employees and customers. These are just a few tips for backing up and recovering your important business data. Remember, you’ll be glad that you took all of this effort when bad luck strikes. Wellness Or Sickness? You Choose! How Can I Make My Business More Savvy And Sophisticated?